With Idramp, organizations can create unlimited access policies across all applications and directories. Policies can be fine tuned to control any range of services, groups, and devices. Security rules for partners, employees, and third parties can be separated, or combined as needed. Access controls can easily be updated on demand to address urgent security incidents. Automated policy control over all applications and directories reduces IT Operations workload and improves security agility. Organizations can use multi-factor authentication to protect against unauthorized logins and keep sensitive data safe. Infinite multi-factor services can be combined and layered for unprecedented levels of protection. New multi-factor services can be quickly added to help organizations stay in front of the latest threats. 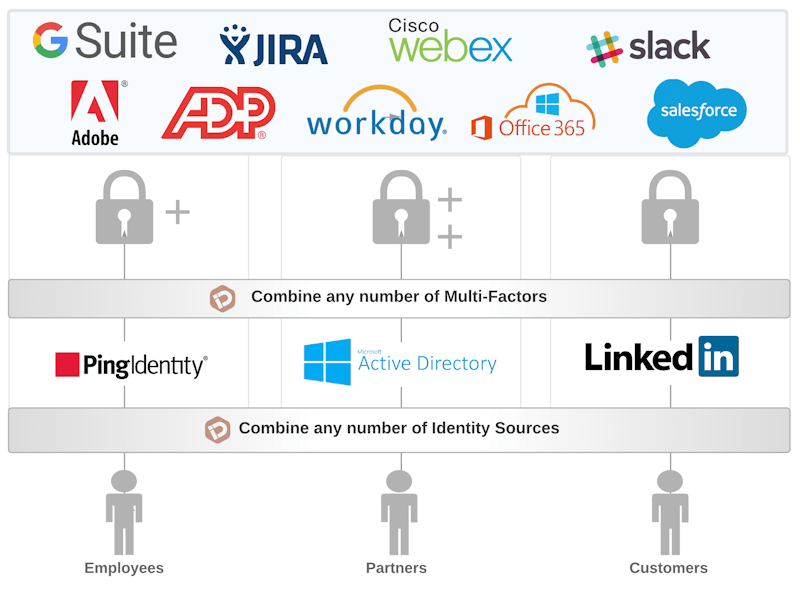 Employees and customers need secure access to their applications from any device. With IdRamp, organizations can provide users with secure mobile access to all applications and services from any location at any time. Mobile access can be regulated according to device attributes. This allows organizations to optimize security at every step.